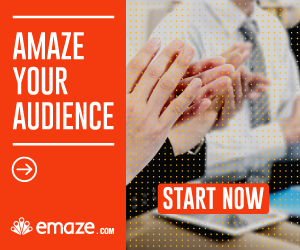 Although Emaze is very easy and simple tool, sometimes you might need help in creating presentations. we gathered for you 5 Emaze resources that can be very useful for you. 1. Support resources– in this page you can find the official support resources of Emaze. You can find there tutorials, videos, FAQ, WIKIs and more. 2. Emaze youtube channel– Emaze has a very rich Youtube channel, which you can find there, tutorials, tips, webinars, interviews, examples of Emaze presentations and more. 3. Emaze-review-tutorial.com– Well, I am not objective, but this is the only site (except the official site of Emaze of course) that only dedicated to Emaze (by now). We have a youtube channel as well. 4. Emaze support– do you have a specific question and you don’t find the answer on the resources mentioned before ? you can send a message to Emaze about technical support, business or press inquiry, sales inquiry, billing support, suggestions, class/ school premium inquiry and other issues. You can also contact Emaze via their Facebook page. 5. Presentations generated by Emaze users (Explore)– this is the greatest place for learning actually how to create Emaze presentations. You can get a lot of ideas for making the best presentations you can. Tip: look for the most viewed presentations for finding the best presentations.